mwe3.com: You have an extensive history in pop and rock, having worked in the past with greats like Flo & Eddie, Alice Cooper and your band Sonia Dada. How did you evolve moving from rock music into recording one of the great New Age style rock instrumental albums of 2011, the Other Planets CD? ES: Well first off, thanks much for the nice compliment concerning the CD. As far as my evolving, after almost 40 years of recording records with bands and touring to promote them, I just kind of stepped off the bus for awhile. I really didn't think anything about what genre this music was going to be. I just wanted it to be cool, and maybe show what could be done with the electric bass, and not having a band or singers around me, there were no rules. Having said that though, it really wasn't about the bass, it was about making some cool music...and since I was the only guy there, I grabbed the instruments I knew. Some compositions I started with a kind of a banjo type articulated picking of the chord changes, like "Bartalk" and "Proper Son", done on the bass with a chorale type effect, and then played the melodic lead, again on the bass, frequently with effects normally used on guitar leads. Then playing a vocal/string patch on the keyboards gave me the idea to blend this warmer upper register bass sound with steel guitar. I dug the warmth of this vibe a lot, and used steel guitar on four of the tunes. I really had no idea I was making what folks might call a New Age rock instrumental, or 'ambient' music. After some time, I did realize that there was a chilled out moody vibe to most of the music. 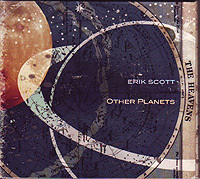 mwe3.com: What kind of sound were you going for on the Other Planets CD? Someone said that your CD is more Pink Floyd than Jaco, yet among the New Age cosmic sounds you can still hear a kind of jazzy Weather Report kind of vibe. ES: I just hoped to get a sound that had some of its own personality, and I discovered that using the bass to play the melodies instead of guitars, synths, or horns, did give it a different, warmer vibe. I did use my synthesizer, but for ethereal pads and atmosphere, rather than lead instruments. We're not trying to take over the world here, (laughter) just playing the instrument that sits within reach. And so the sound started to evolve. And as I was using an echo/delay/wah sort of effect on the main melodies, an effect supplied by the Zoom bass fx box, one thing led to another. And when I wanted some sonic effects to enhance the otherworldliness of some of the tunes, I knew I could get them by scraping bass strings, and making harmonics through an effect. Then I tried adding some steel guitar by John Pirruccello, and I dug that a lot. As far as Weather Report and Jaco, any resemblance is accidental, cause I really don't play like them, or as well as he could. There is fretless bass on the record, so that may ring some bells. 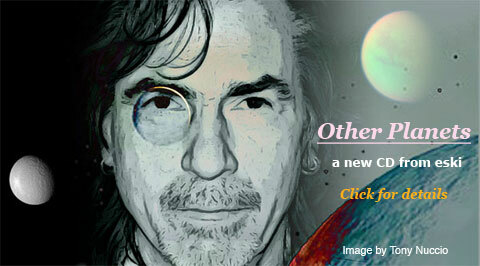 mwe3.com: There's some great players on the Other Planets CD. How did you assemble such a fine crew of musicians to work with? There's also some fantastic and quite varied guitar playing on the album and I was amazed by the steel guitar sounds too. ES: I knew all of the guys from my days in Sonia Dada and around Chicago, so when I wanted to add a color, I would call one of them. When I got an arrangement I liked, I first got Hank Guaglianone to put real drums on the track, as I initially write and record the tunes with some sort of drum program. Then I would add at least one instrument to take it somewhere further...Glen Rupp's acoustic guitar on "Donnie & Sancho", Chris "Hambone" Cameron's piano on four tracks, John's steel guitar on four tracks. But I think the varied guitar sounds you refer to are mostly electric basses in the upper register. There is electric guitar on only two tracks but you know Robert, you are not the only person to assume those melodies are guitar. mwe3.com: The CD cover art and packaging is brilliant too. What was your concept as far as adding that visual element into the mix? ES: The first composition I did for the record was "Other Planets (Sundogs)", an expansion on an idea I did on a Sonia Dada record....and I was headed that way from the beginning, without really knowing it yet. Then as the material for the CD was taking shape, it became apparent that artwork referencing astronomy and the other planets made sense, and graphic designer Tony Nuccio made that happen. Plus, I don't know if you've ever been asked what planet you come from, but I have. 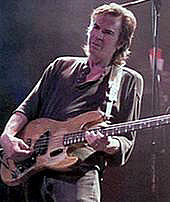 mwe3.com: Can you say something about the Lakland basses you play on the Other Planets album? Also can you add in something regarding some of your other bass guitars and other guitars you have and play and compose with? ES: I use my deconstructed '64 Fender Jazz for a lot of the melodies, with fairly new Dean Markley strings. The newer strings catch the FX better, and I use older strings for the more conventional range rhythm parts. The Joe Osborne model Lakland is especially good for rounder rhythmic tones. The Lakland Fretless has a distinctive mid-range with a real personality. I also use a Pedulla Fretless "Buzz" bass, it's in the intro of "Bartalk". The effects box I used was the Zoom 708ll Bass FX box. mwe3.com: When did you start playing bass and when did you start composing and writing music and can you remember your first guitars? ES: I started playing the bass when a buddy in high school said I could play in his band at the next week's gig if I played the bass, and so I did. I think I played the same bass part for all the songs, just changed keys. I started writing about two years later, all thought it was a bit limited form awhile. My first guitar was a Fender, then Gibson, Eko, and back to Fender. I've had this '64 since 1968, using it on the first album I did that year, Forever Is A Dream, by the group Food, on Capital Records. (laughter). mwe3.com: What were some of your first musical influences and/or guitar and bass heroes? ES: Well, I'm old school, and the first bass cats who consistently caught my ear were James Jamerson of Motown, Paul McCartney of some British band, and John Entwistle, of the Who. Later on, Pino Palladino blew me away. Guitar guys like Mark Knopfler and Duane Eddy, and of course Clapton always please the ear bones. Likewise, the first music I heard was Elvis Presley, the Motown groups, the British Invasion, and the Beach Boys. But those were only the first influences, I hear folks all the time who kill me with their ideas, and they are a diverse bunch: Ennio Morricone, Evanescence, many others. mwe3.com: How did you balance the bass guitar sound on the Other Planets CD with your performance on keyboards and special effects? ES: The main thing to take into account when featuring the bass as the lead melodic voice is to make sure there is not too much low end frequency on it. Often when somebody says "there's too much bass", what they really mean is there is too much low end frequency. So I rolled off low frequency on the featured melodic parts. When the bass is being used in a more conventional manner as the rhythm and low end of the sonic spectrum, it's a whole different ball game. At those times, it's more a supportive role married to the drums, and usually no effects. On Other Planets I had to make sure the keyboard parts accomplished their mission of mood and chordal support, with melodic overtones, without masking other sounds. Keyboard pads can be thick with low end frequency as well. Given the warm nature of the instruments on "Other Planets", I had to make sure that low frequencies didn't pile up and get out of hand. In much of the music on Other Planets, the 'special effects' function like another instrument. I tried to make sure the sounds fit the composition and were heard at the right times, in the right places. Since in this case these "instruments" were often echoed sounds, sometimes panned across the sonic spectrum, I had to make sure the delays were in rhythm, or appropriately cross-rhythm, and that the tones created were also appropriate, and furthered the arc of the music. And lastly, I needed to make sure I didn't overuse them. mwe3.com: What are you hoping listeners will come away with after hearing the Other Planets album, and can you let us know some of your other upcoming plans for 2011 and beyond? ES: Quite simply, I hope people just dig listening to the music. I know a record like this isn't what you play at the party, or the ball game, but it can be cool after the party, maybe in the car. There is always a time to chill out, right? Stare off into space? (laughter)....Gotta mellow out sometime. I'm not trying to conquer the world or anything at the moment. My plans are just to keep trying to make some cool music, and enjoy some life along the way.